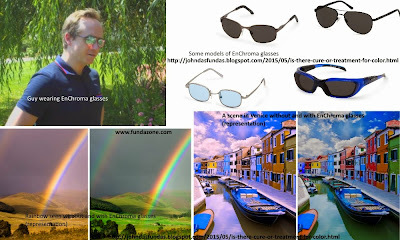 There are now 2 major spectacles(glasses) available for the treatment of colourblindness. One of them is called Oxy-Iso by O2Amp, and the other one Enchoma by Enchroma Inc.
Edit : Valspar Paint Corporation only made an ad/video featuring EnChroma and was not involved in the production apparently. EnChroma was released by Enchroma corporation. It was released in around 2014 and seem to be much better at preserving natural colors while helping the colorblind differentiate the difficult colors. They cost around $350/- . There are multiple models including one called Enchroma Cx Receptor which you can wear over your prescription glasses. Buy The Book "Island of the Colorblind"
Oxy-Iso was the older one(released in around 2012), and looked very purple. Though it did help the colorblind, it gave a purple hue to everything they saw. That was not very comfortable for all. 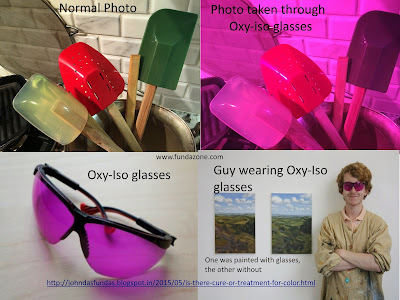 By the way Oxy-Iso is not to be confused with Oxy-View glasses. OXy-View glasses are glasses with a nasal prongs embedded for those who need supllemental medical oxygen and want the nasal prongs to be hidden. The clear winner for the colorblind in my opinion is the EnChroma Glasses. They are not perfect, but they are much better than what Oxy-iso could offer. Also there are many different models available including separate ones for indoor and outdoor use, kids, sports, and to wear over prescription glasses. 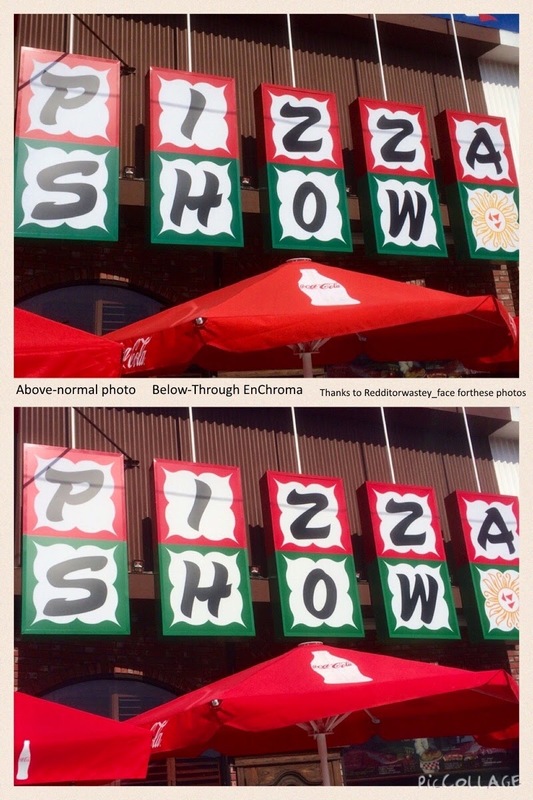 Actual Photo taken Without and WIth Enchroma glasses - Those with ColorBlindness(Protanopes and Deuteranopes) can see a major difference in the colors. 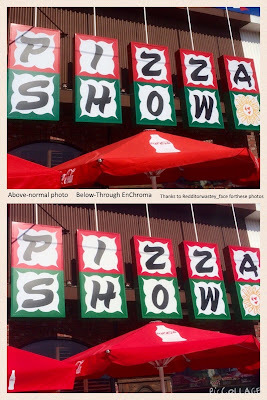 EnChroma says the glasses work better than what the photo shows and it can't be shown on a camera. Anyway treatment of colourblindness is a relatively new area, so expect more advances soon.